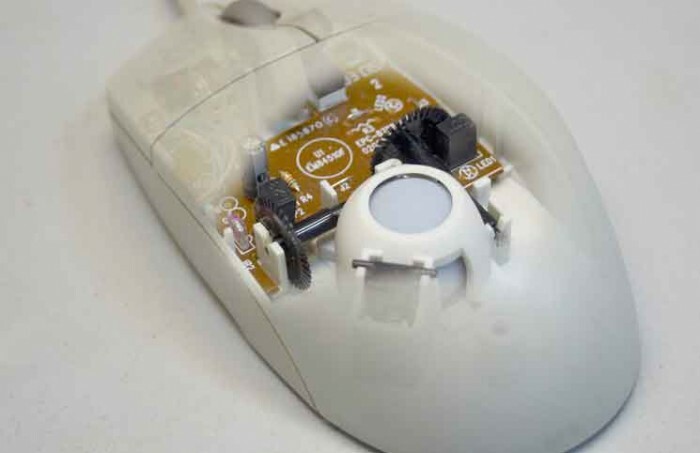 Mouse balls are now available as FRU (FieldReplacement Unit) therefore, if a mouse fails to operate or should it perform erratically, it may need a ball replacement. Because of the delicate nature of this procedure, replacement of mouse balls should only be attempted by properly trained personnel. Before proceeding, determine the type of mouse balls by examining the underside of the mouse. Domestic balls will be larger and harder than foreign balls.